Cycling for the Climate on the CA Climate Ride! A few spaces remain on the California Climate Ride, a 320 mile, 5 day experience through majestic redwood forests along the coastline from Fortuna to San Francisco. As captain of the Center for Climate Protection team, I invite your support and participation. I’m happy to assist you with preparing for the ride as well as help you promote and achieve your fundraising goals. I welcome you to contact me: Kristin Berger, 707-525-1665, x123, kristin@climateprotection.org. Climate Ride information: the individual registration fee for each event is $100. Participants are required to raise at least $2,800 from their business and social networks, of which a minimum of 55% raised goes to the beneficiary climate organization. The remainder covers expenses of the ride, including meals, camping fees, guides and sag-wagon support. For more information on joining the Center for Climate Protection’s Climate Ride team please click here. Also please consider attending our talk to be inspired and ask questions about the Climate Ride from past participants on Wednesday, March 25 at Redwood Credit Union from 5:30 – 7:00 pm. 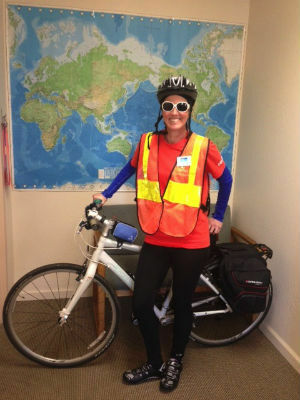 Kristin Berger, Director of Development and Communications at the Center for Climate Protection, is team captain of CCP’s California Climate Ride this year. http://climateprotection.org/wp-content/uploads/2016/06/ccp_logo.jpg 0 0 Guest Blogger http://climateprotection.org/wp-content/uploads/2016/06/ccp_logo.jpg Guest Blogger2015-03-04 00:49:042015-03-04 00:49:04Cycling for the Climate on the CA Climate Ride!